Entwined thoughts - ready to be straightened out ! : Why we behave the way we do ? What drives human behavior? Our belief system. Why do some people engage in philanthropic activities while others indulge in theft? The underlying beliefs that govern their actions are different. Our beliefs are not rooted just to the age old cultural systems prevalent in the society; it is nurtured by our parents, schooling, friends, community and the myriad of experiences that life offers. Our actions inadvertently reinforce our beliefs. We derive our attitudes from beliefs that are rules governing our lives. All is well when our actions unify with our beliefs, but such is not life. The discords in our lives occur when our behavior conflict with our beliefs, resulting in elevated state of tension such as guilt, anger or frustration. For instance, someone who believes eating chocolate truffle pastries add calories will try to avoid buying pastries. The belief can get strengthened over time through personal experiences of having put on weight after eating pastries or having observed friends who eat pastries put on weight. Either way the belief is getting stronger, hence this person is sure to avoid pastries even if offered at parties, but she was coaxed into having a pastry at her friend’s party. Now there is a conflict in her behavior. How is she going to feel? Maybe guilty. Her mind is not going to rest the night. This is the most trivial of examples to elucidate the frictions we experience in our daily lives. How do you think we reduce this state of dissatisfaction? We can either change our behavior, belief or can add reasoning to our behavior. Is it easy to avoid pastries? Or is it easy to change our belief to,’ little bit of pastry eating wouldn’t add calories’? ;) Most often the easiest is to supplement reasoning – I read an article that says eating fried items adds more calorie than pastry. Who are we fooling around here? Our beliefs and attitudes are evolving constantly. Negative connotations aren’t inevitable. People who are frustrated with the conflicts in their actions and beliefs can get into depression. In trying to reduce this conflict some may stray into illegitimate, antisocial and unethical paths. We are negotiating conflicts endlessly; the more aware we are in this mind game, the more adaptable we become as humans in the society. As promised in this post I have tried to explain the theory behind attitude formation and human behavior. 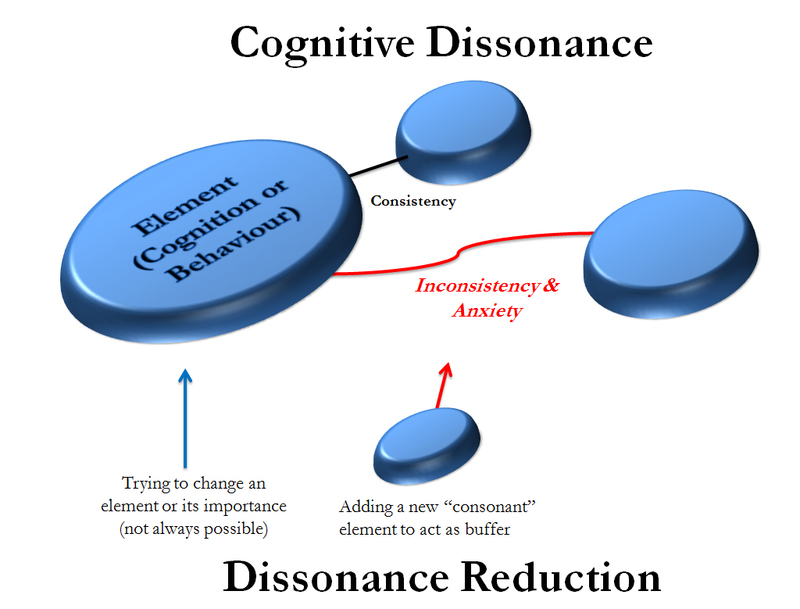 This theory is referred as ‘Cognitive Dissonance ‘in social psychology. I guess the Psychology Prof was at work creating this piece! Nice article.. at the end of the day it is a question of how good and quick one can adapt. I guess you are the best person to write a self help book !! Really nice. I love reading anything related to human mind which is by for simple yet complex mysteries in this world!! What is in a guy/girls mind? I think you like psychology!! Keep writing! !